Titan is up to 2 weeks faster to flower than open-pollinated vincas, with superior branching and the biggest flowers in all the top-selling colors. 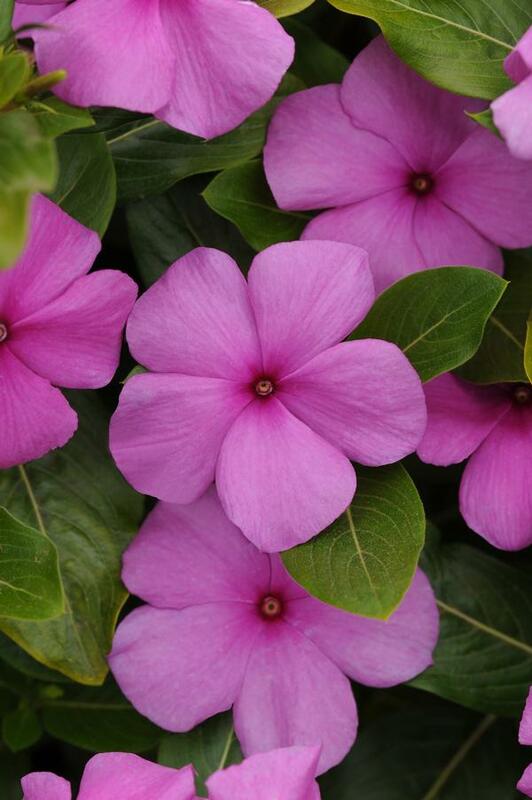 The most uniform F1 vinca series on the market shows off flowers that are up to 50% larger than O.P. types in cooler temperatures. More stress-tolerant due to hybrid vigour tolerates heat and drought and can withstand cooler and wetter conditions compared to O.P. types. Excellent performace in high light and temperatures. Do not overwater. Average fertilization required.